Home » Blog » Roof vacuuming » Ceiling cleaning » What attracts Termites to my home? What attracts Termites to my home? 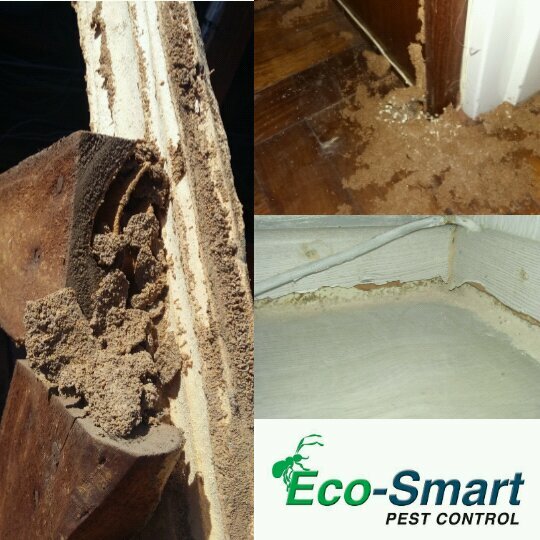 Treating termites will depend on the type of termite found on the premises is done by a trained technician like Eco-Smart Pest Control. Termites vary according to the location of the home of office. The two main categories of termites are namely Subterranean and Dry Wood Termite, which is found all across South Africa. What attracts Termites to my home? Known as the silent destroyer, wood and timber chewing subterranean termites can be any home owner’s nightmare. Subterranean Termites live in colonies underground, in most cases beneath lawns, where they build tunnels in search of food like wood. Dry Wood termites obtain water from the wood in which they live and have no contact with soil, and with any other source of moisture.Termites are not the only pests damaging your home or office. Numerous unregistered pest control agencies can cause a bigger problem by using inappropriate and harmful chemicals and pre-treating methods. Water pouring through your fully functional gutters need to be diverted away from your home. In order to minimize the build up of water accumulation around your yard, use sprinklers and irrigation systems. Termites are drawn to moist areas so do your best to keep the foundation and soil around your housing structure as dry as possible.